Sulewana Waterfall or commonly referred by local people under the name of Air Luncur Sulewana or Sulewana watersliding is one tourist attractions in Sulewana village, North Pamona, Poso, Central Sulawesi. 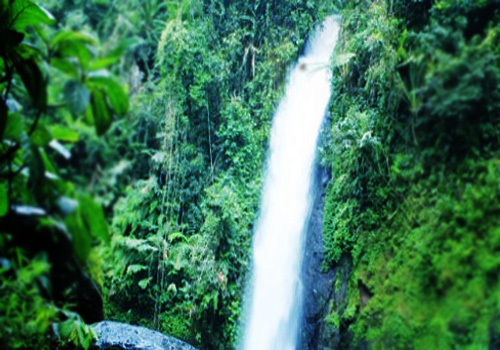 The name comes from the waterfall with local language consists of two words; Sule means the heart and Wana means forest. The flow of the water comes from Lake Poso, which is about twelve kilometers. This waterfall is also has a large water discharge and very heavy so that apart from being a tourist spot, the waterfall is also becomes a source of electricity generation with a magnitude up to 800 Mw. Even the sound of the flowing water can be heard from a distance for about 500 m.
There is a pool at the bottom of the waterfall. But if you want to play in this pool, you should stay just below the falls since the water slide is very heavy. There are other ways to enjoy this Sulewana waterfall by enjoying it from the cliff of the waterfall. If we had been in Poso Lake in Tentena, then a trip to Sulewana will be easily reached by using a motor vehicle. The distance is about twelve kilometers. Then the journey can continue by walking as far as three kilometers. This trip will be paid after we get to the Sulewana waterfall.